Description : Indeed is a search engine for jobs – with a radically different approach to job search. In one simple search, Indeed gives job seekers free access to millions of employment opportunities from thousands of websites. 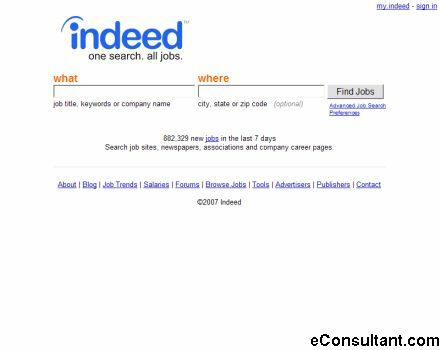 Indeed.com includes all the job listings from major job boards, newspapers, associations and company career pages.